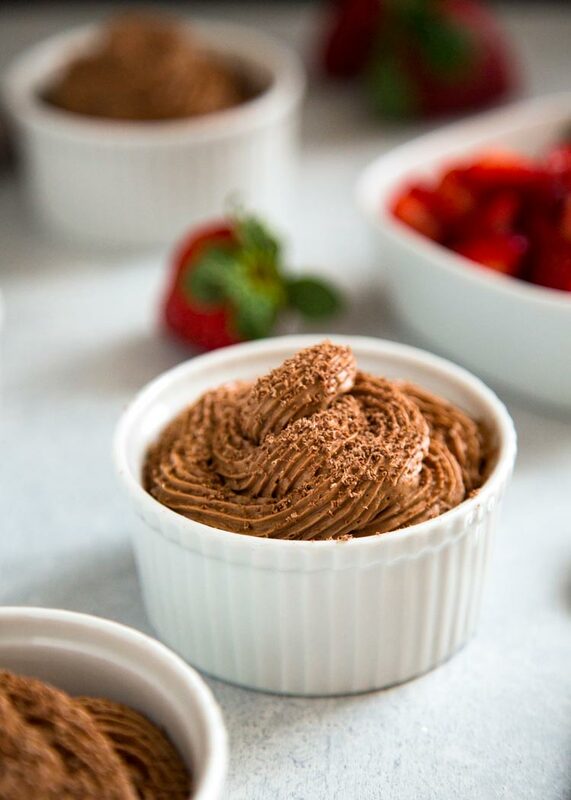 For all my fellow chocolate lovers out there have I got a luscious and decadent chocolate mousse recipe for you today, Piret’s Chocolate Mousse. A classic French dessert made with melted chocolate, eggs and whipping cream, this is a fantastic dessert for that special occasion. This is a favorite recipe I learned to make while working years ago at a French restaurant. Piret’s Chocolate Mousse is one you must try. The consistency is almost pillow light, dreamy, creamy and oh so chocolatey. I’ve had many different chocolate mousses in my time and this one take the cake! It is a melt on your tongue flavor explosion. It’s not a custard, it’s not just chocolate whipped cream or a thin, runny pudding. Nope. This is beyond. I was first introduced to chocolate mousse from a childhood friend whose mom was French. It was HEAVEN and the memory stays with me to this day. 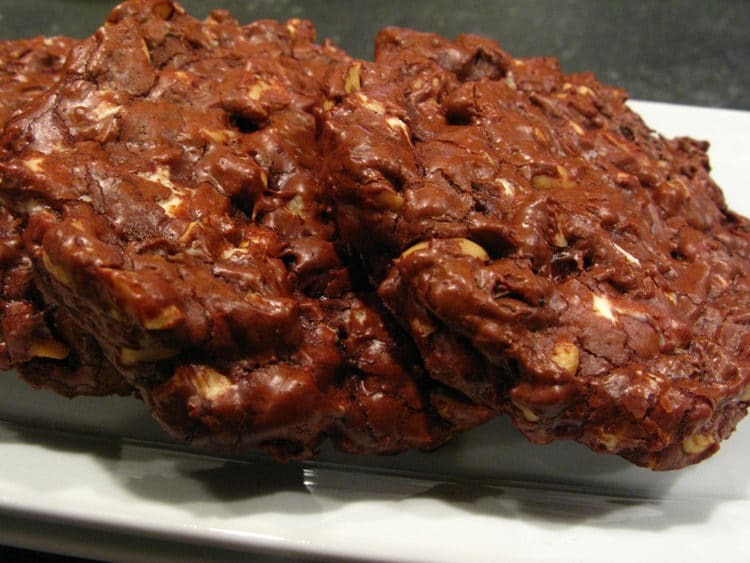 Here is a wonderful recipe that takes that memory and bumps it way up there. I worked for a time at this wonderful classic French styled restaurant and catering company in La Jolla, California called Piret’s. It was located in a shopping center as a branch to the original culinary emporium in Mission Hills. I believe there was another up in Encinitas as well. Anyways, I remember cooking and prepping in the kitchen and fell in love with Piret’s Chocolate Mousse from the first spoonful. I also learned how to make a beurre blanc and dunked fresh sourdough bread in it any chance I could. 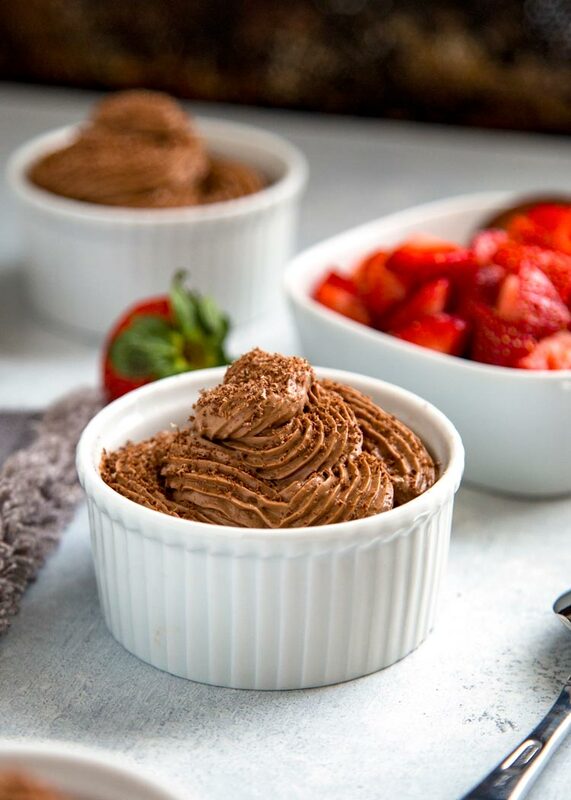 This Chocolate Mousse recipe though is a wonderful take on the classic chocolate mousse! Best part is it’s only like 358 calories per serving. Can’t beat that! I like to scoop it into a piping bag with a star tip to fill up the little ramekins I serve it in with a dusting of shaved chocolate and some chopped strawberries. 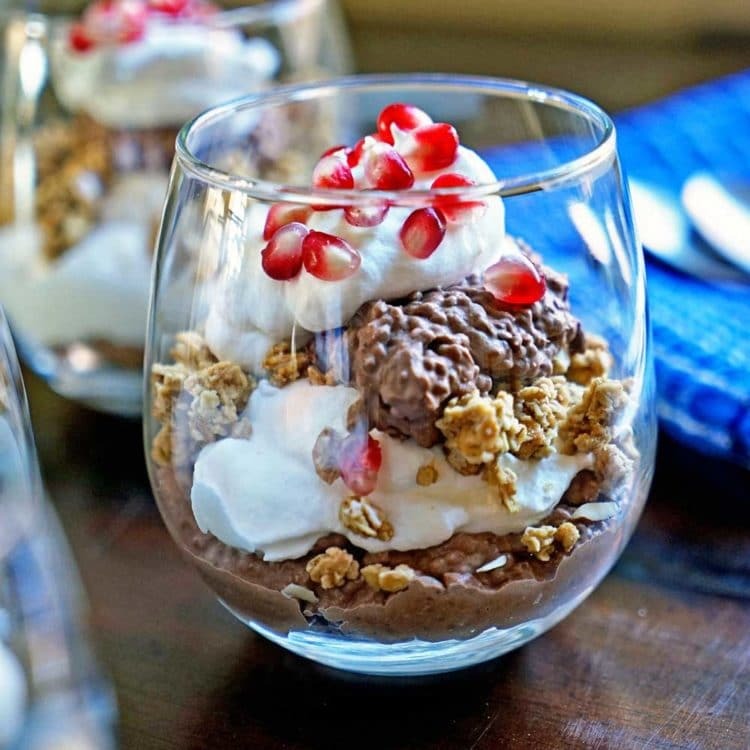 Feel free to just scoop the chocolate mousse in any bowl and dig in! I will try and find my old Piret’s cookbook and post the beurre blanc soon. This one MUST refrigerate over night and the anticipation will not kill you, but it’s worth it. 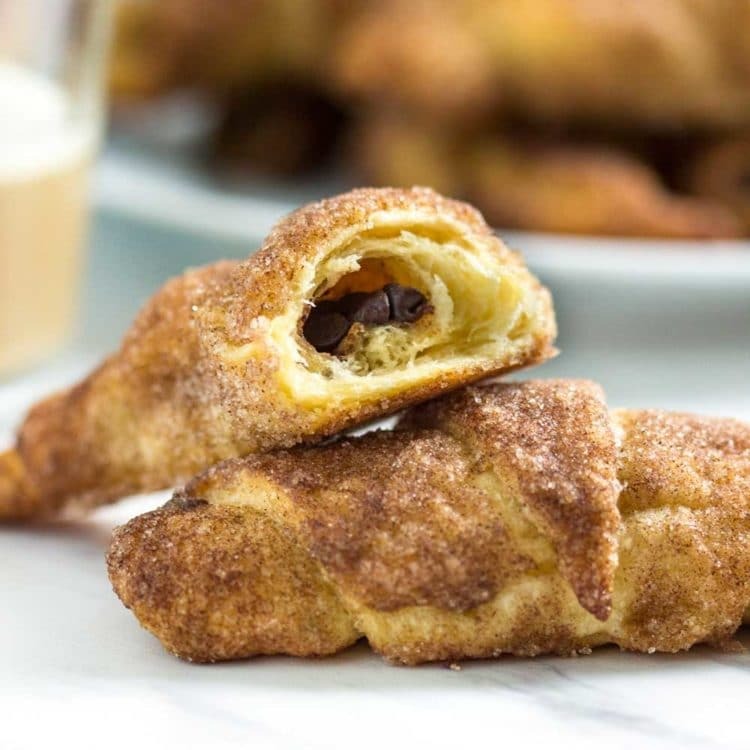 If you like this classic French dessert, try my Crème Brûlée, Chocolate Crème Brûlée or my Cinnamon Crème Brûlée, too. Enjoy! This recipe was one of the first ones I had on this site and was first published here on Kevin Is Cooking back in 2013. Back then I just uploaded some of my family and personal favorites thinking nothing of making this site into something. This post has been updated with new photos. 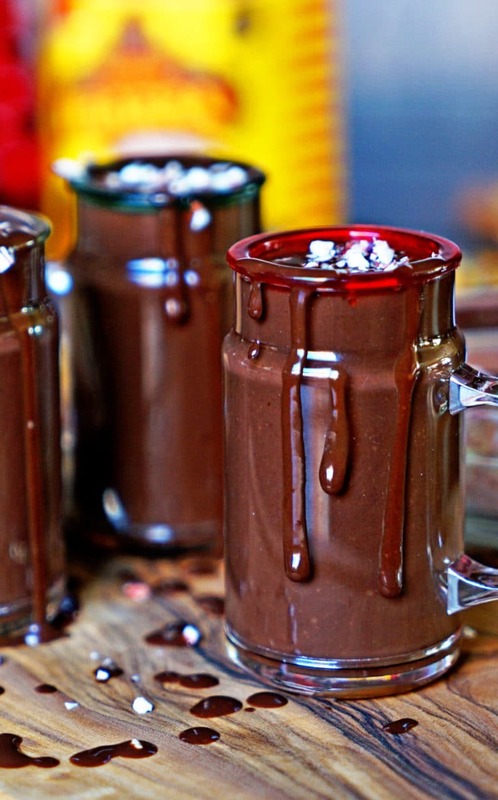 For any chocolate lovers out there have I got a luscious and decadent chocolate mousse for you. It’s amazing how something so easy can be so incredible if done right. 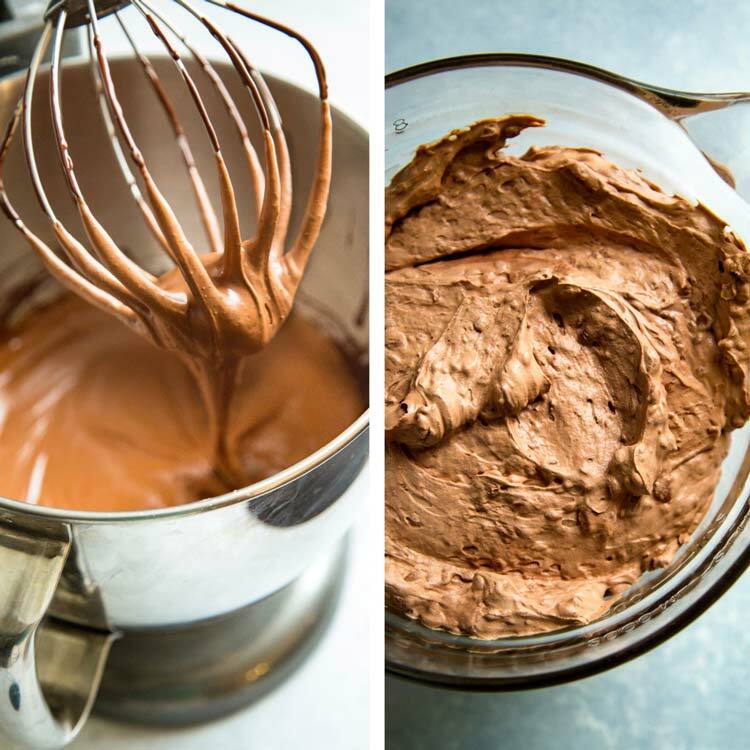 Refrigerate the mousse at least 8 hours or overnight (don't skip this step or the mousse won't have the proper consistency). Adapted from Piret Munger's Chocolate Mousse. Beat the egg yolks and sugar until the mixture is fluffy and light. Save egg whites for other use. 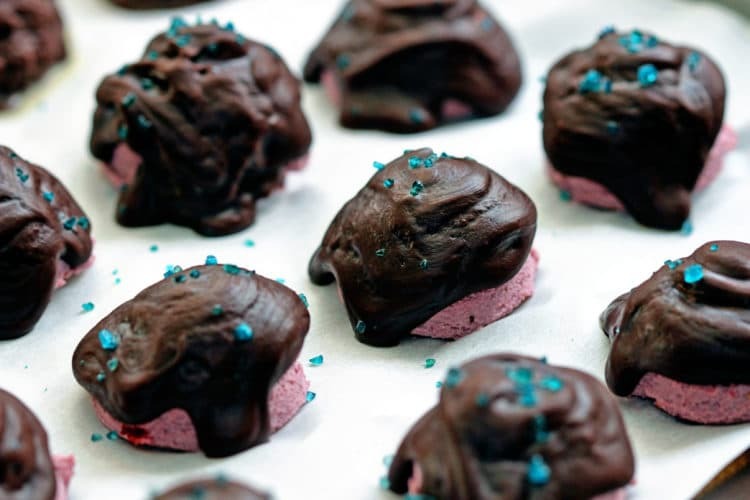 Using an electric mixer on slow speed, beat the melted chocolate into the egg-sugar mixture a little at a time until just combined, working quickly so the chocolate does not harden. Beat the mixture on medium speed for 2 minutes. Reduce the speed to slow and blend in the orange extract. Set the mixture aside. Using a chilled bowl and beaters, whip the cream until it forms very stiff peaks, incorporating the vanilla as you beat. 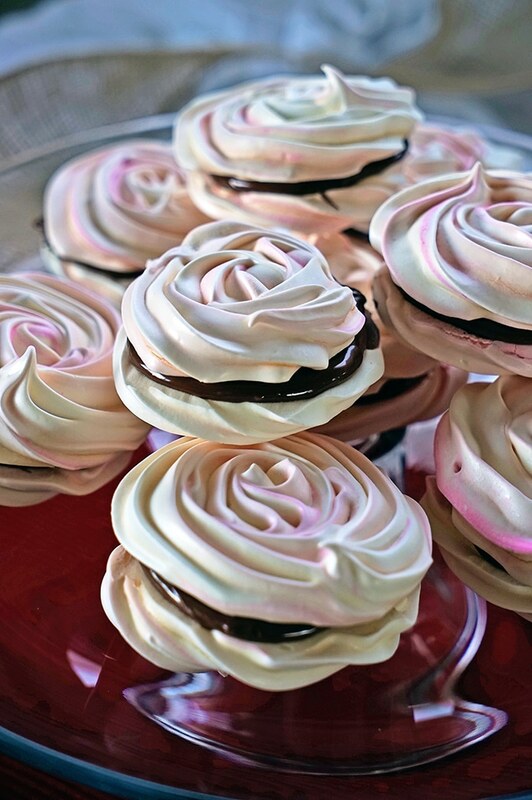 Using a whisk, fold half of the whipped cream into the chocolate mixture, blending completely to lighten it. Using a chopping motion with a spatula, fold in the remaining whipped cream. 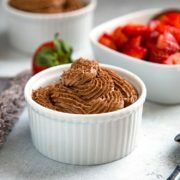 Refrigerate the mousse at least 8 hours or overnight (don't skip this step or the mousse won't have the proper consistency) and spoon or pipe into dessert bowls to serve. 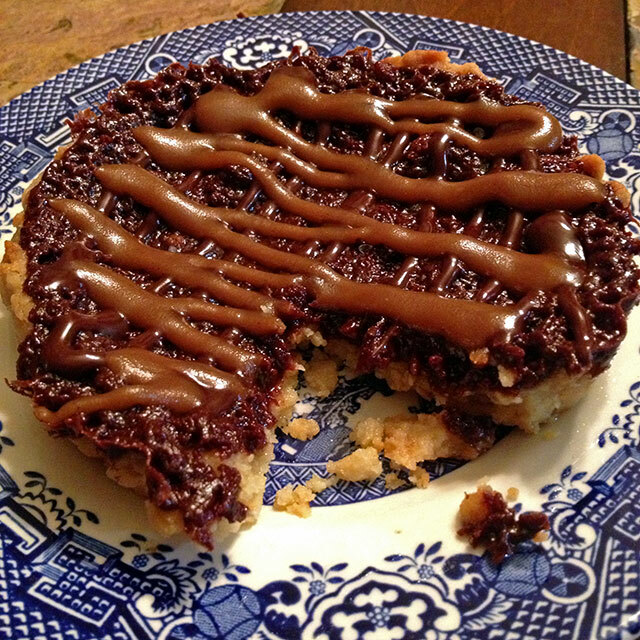 Feel free to top with shaved chocolate and serve with strawberries (optional). 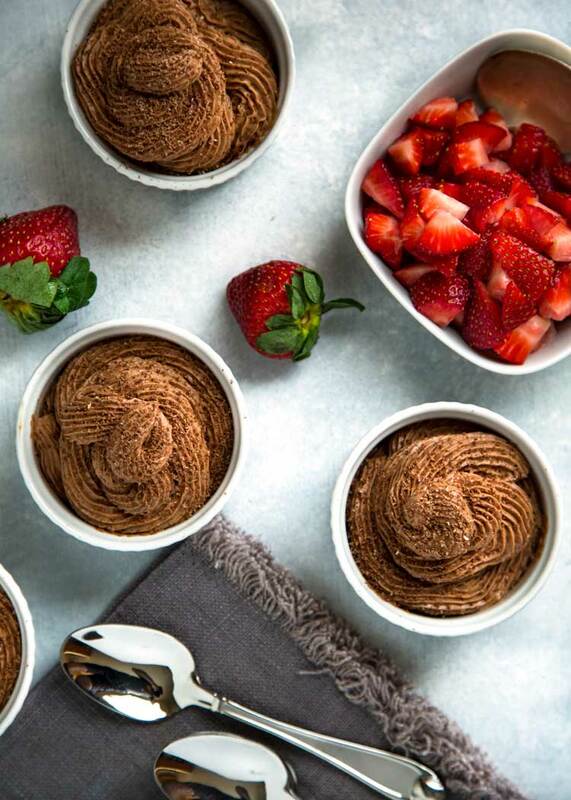 The mousse will keep refrigerated for 2 to 3 days. 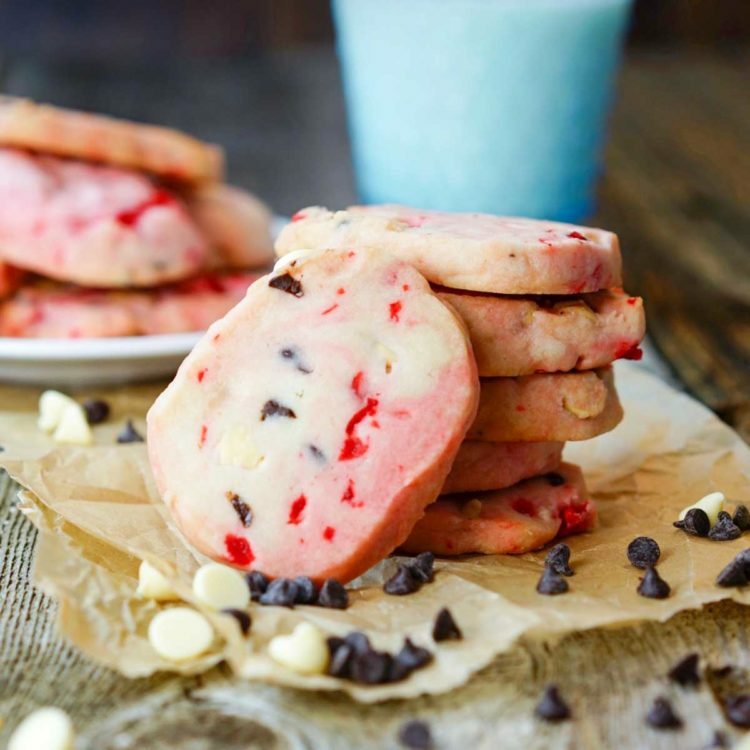 This batch yields 10 servings. 1. Feel free to substitute the orange extract for Piret’s original choice, 1/4 cup Grand Marnier. 2. I placed the chocolate pieces in a microwave dish and gave it a few 15 second blasts on high and stirred in between until smooth and melted. Hello Kevin, this recipe looks amazing. Quick question – does the raw egg pose any kind of risk? I love Piret’s chocolate mousse and all the recipes from Piret’s it will always be my favorite it was so original I worked at piret’s at the South Coast Plaza store ! Thank you Kevin! Oh wow, how cool is that?! I really enjoyed working there and this mousse always reminds me. Cheers Ramia!